The Snowdonia gives you a more contemporary looking garage door. If you’re looking for a more contemporary garage door then the Snowdonia may be right up your street (or mountain!). Our Snowdonia features five vertically stacked openings for glazing per door, all being internally beaded, meaning when you come to fit your glazing, it fits from the inside of your garage giving more security and more weatherproofing. Want a specific width for the openings for glazing? 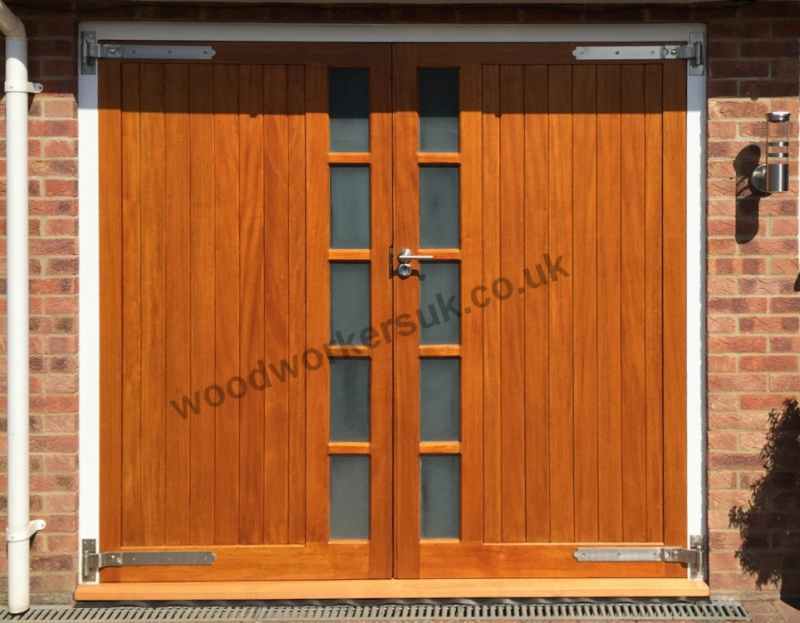 Then please get in touch with your requirements, as like all our garage doors, the Snowdonia garage door can be customised to your specific requirements. 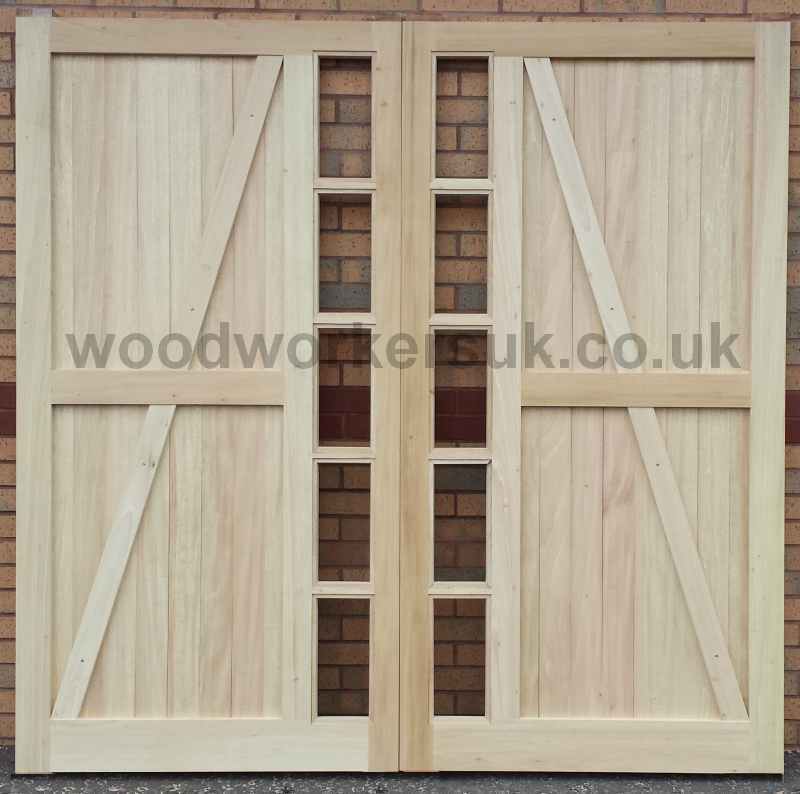 Based on a through wedged morticed and tenon jointed frame, the rear of the Snowdonia garage door features a hidden centre rail (visible from the rear only) for additional strength to the boarded area of the doors. Despite being a new addition to our range of garage doors with windows, it is already proving very popular! Made to measure, can be customised, choice of five smooth planed timbers – what are you waiting for! Pre-beaded internally – The Snowdonia is supplied pre-beaded ready for glazing. The Snowdonia guide prices are based on a pair of doors 6ft 6 high x 6ft 6 overall wide (approx 1980mm high x 1980mm), these are NOT from prices, smaller doors will be more economical etc – contact us for a price! All prices are correct time of insertion and are EX VAT. Free delivery to most parts of the UK mainland is included – exclusions do apply, again please contact us. To get a personalised costing on our Snowdonia garage doors please use the form below.